What are the Super Nutrients for kids? From the moment of born, parents watch their kid’s progress eagerly, looking forward to every inch of growth. However how can they say that their child is growing properly? As children’s age is growing age and body changes take place most in them, they require some super nutrients which help them in physical as well as mental growth. When kids enter into school-age, their capabilities and understanding of the world and concepts around them carry on to grow. Kids flourish on dozens of nutrients which work jointly to promote growth and development. Good nutrition helps your children to ward off common illnesses and make them healthy and physically powerful. There is no single nutrient, or group of nutrients i.e. more significant for a child's well-being. When the subject is kids' nutrition, these Super Nutrients help a lot to learn, grow and move. Water......the basic need of life! Every people, even small kids know that air and water are the essential needs for living. The 2/3rd part of human body contain water and it is really a vital component of human body. So how to keep kids hydrated should be a main concern for parents, regardless of season. 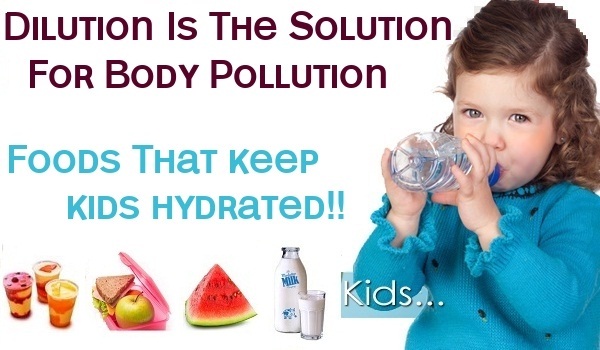 There are lots of health benefits of being hydrated, so kids need proper hydration!!! Your kid needs to consume enough fluids and get the right nutrients to grow strong and healthy. Actually, kids often require more hydration than the adults because they tend to lose a larger proportion of body fluid throughout the day than adults as they are very active and growing! So they require the consumption of as much fluid as they can to stay properly hydrated. 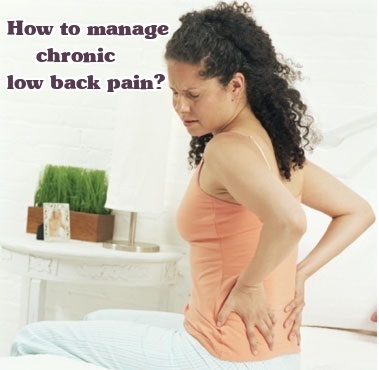 How to manage Chronic Low Back Pain? Aaaahhhhh……..This is a most common word which you may have heard a lot of time from your nearby people. And maybe you are also familiar with this word, unfortunately if you are a patient of a chronic low back pain. We can consider the people who never suffered from low back pain as a luckiest people. Many people get back pain at some point of age that interferes with routine daily activities, work, freedom or recreation. Low back pain is a foremost contributor to missed work and most common cause for professional disability. Luckily, in most of the cases, low back pain goes away within a few days. While in some cases, it takes a long time for resolution or leads to more severe conditions. This severe condition is known as chronic low back pain. We can define Low back pain as rigidity, muscle tension, or pain localized above the inferior gluteal folds and beneath the costal margin, with or without sciatica (leg pain), and can be marked as acute or chronic in nature. Acute pain lasts from a few days to weeks, while chronic low back pain persists for more than three months. So, the duration of the pain is main difference among acute and chronic low back pain. The type of chronic low back pain may differ greatly; it can be felt as nerve pain, muscle pain or bone pain. It may originate from a disease, stresses or injury on the different anatomic structures of the body such as muscles, bones, joints, nerves, ligaments or the spinal cord. The sensation of pain could be burning, achy, sharp or dull, tingling or stabbing, and well-defined or vague. What are Symptoms & Treatment of Stevens Johnson Syndrome? 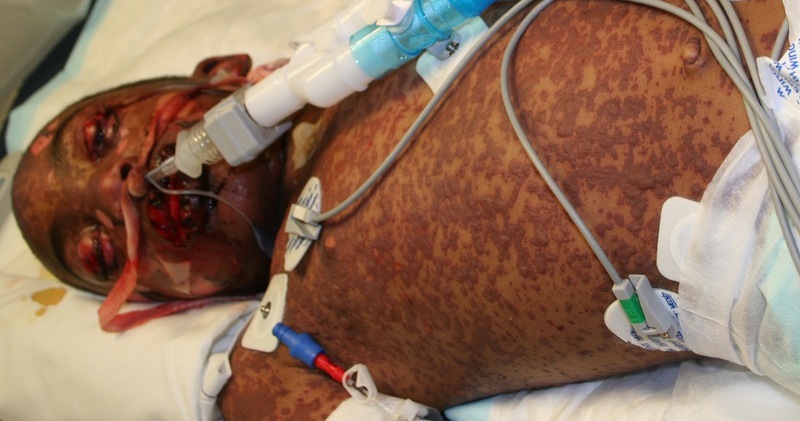 Stevens Johnson syndrome is an uncommon but serious and life-threatening skin condition characterized by ulcerated grazes on the mucous membranes and skin. Stevens Johnson syndrome is also called as Erythema multiforme major. In this diffuse and severe disorder, mucous membranes and skin react severely to infection or a medication. This syndrome initiates with flu-like symptoms and followed by a sore purplish or red rash that blisters and spreads which ultimately cause the death and shedding of skin’s top layer. Get ready! Christmas is not much far, so holidays are just coming up. In these days, everyone is engaged with the tight schedule of preparing for parties and shopping lists. There is also a necessary to get reminder of staying healthy by eating well, with this busy schedules. Huffington Post Canada conversed with three dietitians Doug Cook, Natalie Brown and Cindy Black. They gave information about foods which you must have to store in pantries and fridges in this holiday season. All dietitians agreed that pre-planning for foods, using leftovers and buying in bulk are simple ways to stay on budget. 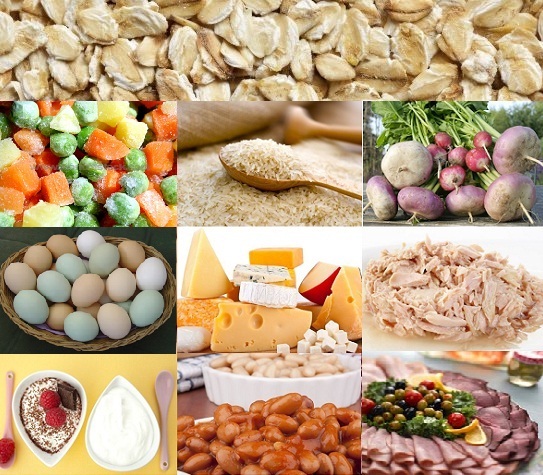 The top ten food items which you must have to acquire for the months ahead are given here. Do you know medicines can be delicious and does not come in the form of a pill? You can find some of the most powerful medicines at your local supermarket or "pharmacy", and they are very tasty. Curative foods have been utilized as part of the cookery for centuries in Asia. Foods and medicines are often the similar thing in Asia. 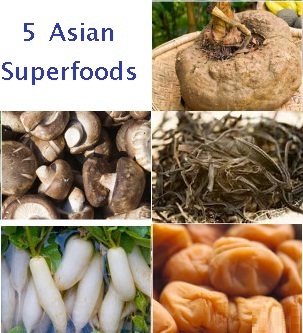 Five Healthy Asian Superfoods are provided here; you need to try them to get their benefits such as lose weight, lower cholesterol, reverse diabetes and prevent cancer. You will really like these foods because they contain unique and unusual good taste. An innovative study shows that diets rich in salty and fried foods can increase the risk of heart attack, while consumption of lots of fruit and leafy greens vegetables decreases that risk. Fruits are very good and healthy foodstuff for your heart. You should consume a wide range of vegetables and fruits as part of a balanced diet; the fruit juice is a flavorsome and handy way of doing this. Daily consumption of 4 to 5 servings of fruits helps to stay in perfect shape, as said by health experts. A perfect fruity recipe has been found by a group of French scientists to maintain a disease free heart. 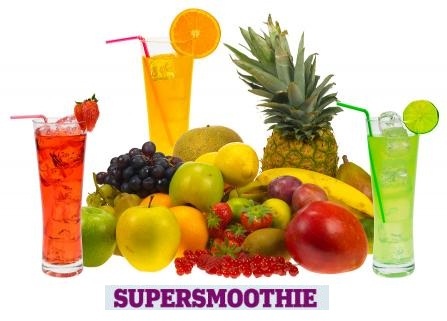 They have prepared a fruit cocktail ‘super-smoothie’ by blending of seven fruit juices which can reduce the risk of heart attack & stroke and also boosts health. Everybody craves to be gorgeous and good-looking but everyone is not blessed with perfect skin, a cute nose and perfect features. Nowadays, people take a help of surgical treatments to maintain and enhance their beauty and all manner of physical features. Each year, millions of women and men underwent plastic surgery treatments from face lifts, breast augmentation, tummy tucks and liposuction, to botox injections. There is a risk of getting injured or even death during the surgical procedures carried out by non-board-certified plastic surgeons. 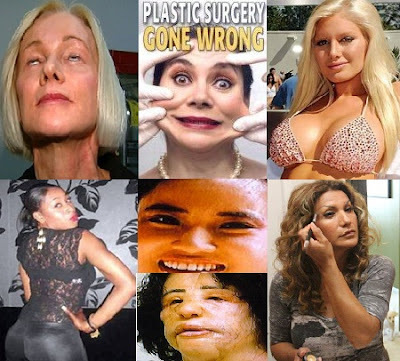 Many cases of the worst plastic surgery disasters are noted till now. Here you can see some worst plastic surgery disasters that happened around the world. Human mind has created a different definition for every month of year in many different ways. For instance, May for blooming of trees and the ending of school, June for the burning sun and days spent on the lake and December for family and holidays. 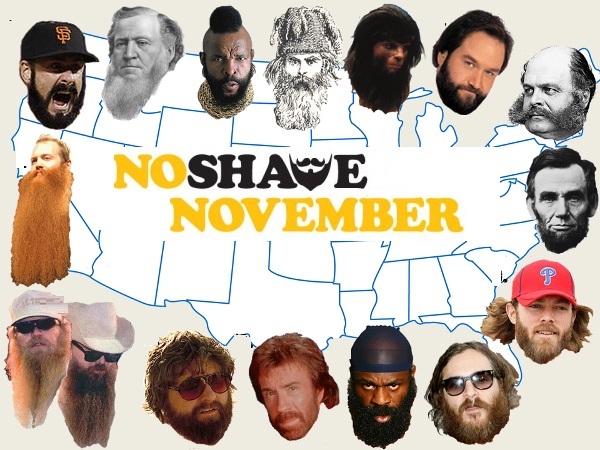 Just like that, November is known as the no shave month. No Shave November or Movember is a prostate cancer awareness campaign and it was begun in Australia in 2003. This event holds a competition for men to grow their beard.